The AMD Kabini platform has finally arrived with numerous motherboard maker releasing motherboard for the AM1 socket used by Kabini chips. MSI has followed suit with the AM1I model – a very cheap but interesting motherboard that will allow you to build a Kabini-based computer for on the cheap. 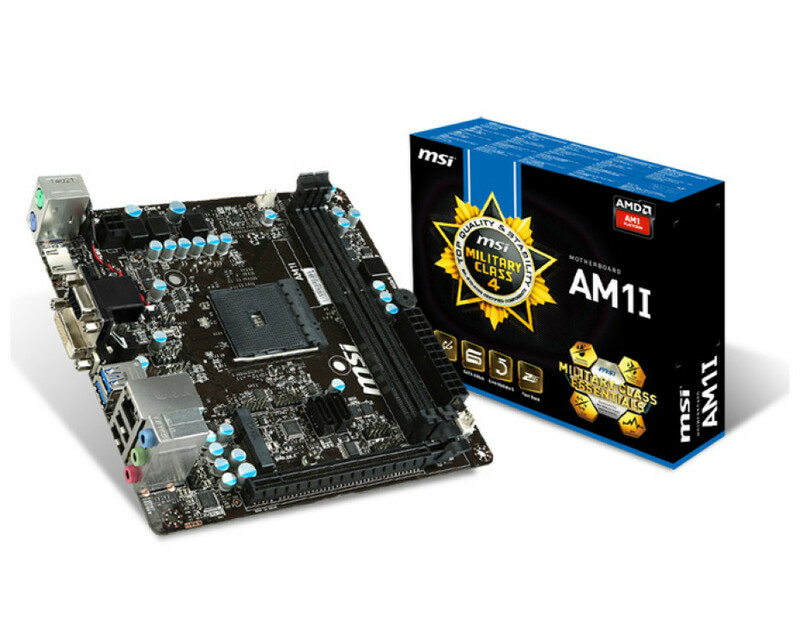 The MSI AM1I is a Mini-ITX motherboard that measures 170 x 170 mm. It arrives with one AM1 socket, two DDR3 memory slots for strictly single-channeled DDR3-1333/1600 memory (up to 32 GB), a PCI-E 2.0 x16 slot, Mini PCI-E, two SATA 3.0 ports, a six-channeled Realtek ALC887 audio chip, a Realtek RTL8111G network chip, HDMI, DVI, D-Sub/VGA ports, one PS/2 port, 3-pin and 4-pin fan connectors and two power connectors – one 20-pin and one 4-pin. The new MSI motherboard can be yours now for just USD 35.